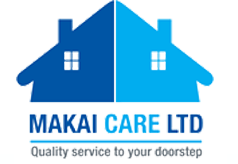 Makai Care provide healthcare workers, and support worker to individuals, companies and organisations across Reading and Berkshire. With professional, experienced staff, management and support workers, Makai Care can offer a personal, tailored service to each of our clients, giving them exactly the right care for their circumstances and situation. In the future, Makai Care aim to build on their knowledge and experience, and establish a supported home for adults with mild to moderate learning difficulties and mental health issues, giving them a stable and supportive environment to aid their wellbeing and day to day life. At Makai Care we understand the importance of ensuring that all people who use our services are treated equally, individually and with respect. We believe that our clients are entitled to the same rights, responsibilities and opportunities as anyone else; are entitled to be listened to, guided and supported in achieving their dreams and goals, enabling them to live as independently as possible in the community. Makai Care believe that it is extremely important that service users are allowed freedom of choice, opportunity for self expression and protection from abuse of any kind. We base our support on our experience of successful methods, but also remain flexible so that service users are able to continue with their regular life and routine as fully as possible.